Checking out the latest in home improvement works up a thirst! 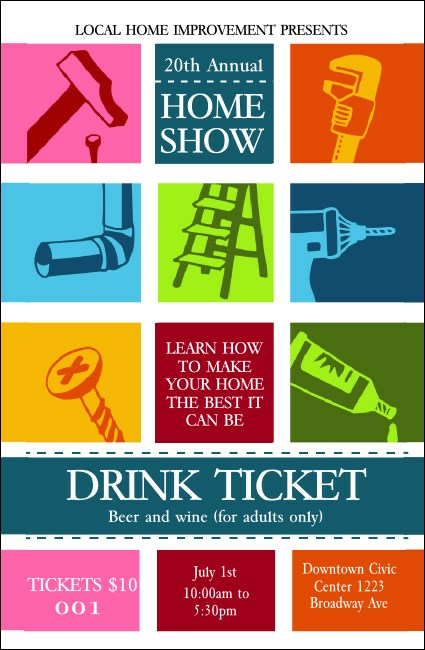 Keep your event organized by handing out the Home Show Drink Ticket at your event. This industrious ticket template features brightly colored illustrations of tools, with eighteen lines for all your event details.